Discussion in 'Android News' started by DroidModderX, Nov 13, 2016. 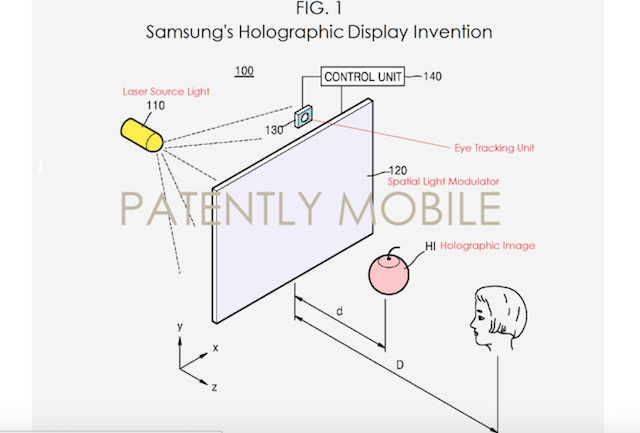 In cool news today Samsung just patented a Glasses Free 3D Holographic TV technology. I just outfitted my house with 4K HDR+ Tvs so naturally something greater is coming down the pipeline! 3D TVs that utilized glasses have flopped over the past several years. This has been partly due to the fact that their hasn't been much 3D content available and also because traditional 3D causes fatigue and limits viewing angles. The new technology would be able to provide a more immersive experience without the eye fatigue. The new holographic technology provide full parallax instead of the traditional binocular parallax. This makes the depth perceived by the brain consistent with the focus of the eyes. The patent that was submitted also goes into great detail as to the components needed to make this work. Hopefully Samsung will have a demo unit at CES. This was filed for back in January and was just now published. It could be vapor ware for all we know, but this looks like some awesome next level technology for sure.